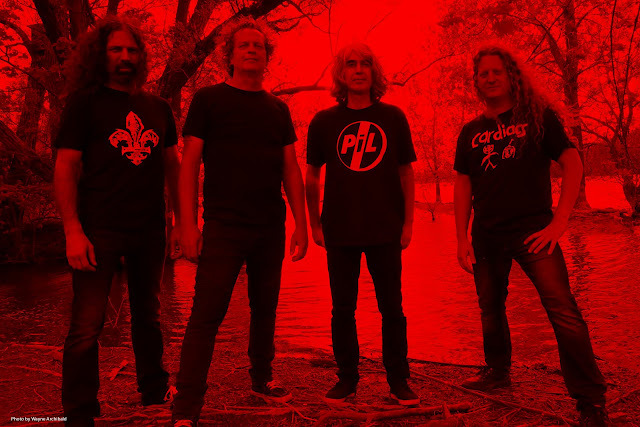 Voivod have always been a sonic head-scratcher, but even longtime fans who know to expect nothing less than a left-of-center musical exploration from the band will have their minds blown by what they’re going to unleash on September 21. I recently re-connected with drummer Michel “Away” Langevin (the subject of one of my most-read posts of 2016) to learn more about The Wake and Voivod’s enduring place as the most brilliantly odd band in Metal. One of the things I’ve always enjoyed about Voivod is that no two albums have ever really been the same. Do you go into a recording project with a general creative goal in terms of sound and direction, or is it a matter of this whole thing just naturally evolving year after year? It’s really natural, actually. We never really sit down and try to overthink where are heading towards, because we know that in the end, we’re going to be in some parallel universe anyway. We really want to write the music that we want we play, so sometimes it’s not in sync with what’s going on in the mainstream at all. Even if we sometimes try to do something more melodic, it’s still too weird for mainstream radio. We are resigned to really do what we want. You just mentioned Voivod being “weird.” I think bands have a choice in their careers. They can either go strictly commercial or they can attempt to do something different. Obviously, Voivod have always followed that latter path, and you’ve been at this a very long time. What has been the key to sustaining this band all these years in an industry that isn’t always welcoming of output that doesn’t instantly appeal to the masses? Sometimes, these are tough choices or crossroads where you really have to persevere. I think a key to longevity is probably to try to be original and unique. In the end, it really pays off. You get respect, and people show up at our shows. Especially lately, we’ve had a momentum, and we also sort of jumped into the classic Thrash Metal resurgence a few years ago. I think the key is really to be yourself. If you try to adapt to what’s going on, by the time you write the song and record it and it comes out, you’re already out of step and a bit late. If I would give any advice, it would be to try to be yourself and also try to be unique. It pays in the long run. This new album is the first full-length you’ve done with Rocky on bass. How did having him involved from start to finish most impact the album’s sound and overall structure of the music? I think the interaction he has with Chewy is sort of a question-and-answer setup all through the songs. It makes me play a bit differently; it’s almost Fusion Metal in a way. I try to keep the Thrash Metal attack with the double kick and all that, but it definitely makes me play in a Progressive Rock way. I kind of go back to the Van der Graaf Generator days or King Crimson. It’s a very cool experience for me. The bonus disc for The Wake not only has the Post Society EP, but it also has some live tracks from the 70,000 Tons Of Metal Cruise you did this year. What stood out for you from that show that made you think it would be a nice addition to the bonus package? We did two sets on the boat, but this one was the only one that was documented proficiently by the organization of 70,000 Tons. They allowed us to use it, which I think is a great bonus. Adding the Post Society EP was Century Media’s idea, and I think it’s great. Definitely – especially with that “Silver Machine” cover. Yeah, we winged it really rapidly. When we were recording the last part of the Post Society EP, there were lots of news stories about Motorhead canceling shows. We thought it was time to pay homage to Lemmy. Snake and I were really familiar with the song, but Rocky and Chewy were a bit less familiar, so they watched an old YouTube video and winged it. It’s a great song to play live once in a while as well. It has been 15 years since the self-titled album and the beginning of the Jason Newsted era of Voivod. Looking back now, how do you feel that era ultimately impacted the greater history of the band? When Jason joined the band, it drew a lot of attention to us. It definitely helped us to get attention outside of the underground Thrash Metal media. When Jason joined Ozzy at the same time, all of a sudden we’re touring with Ozzy and doing the Ozzfest and all that. Jason really did help the band. From then on, it’s been steady in terms of media attention for Voivod. We had a lower profile in the ’90s at one point. Jason was such a warrior to have done that, because he was playing with us live, then he’d go to the dressing room and go back again on stage and play more than two hours with Ozzy for the whole summer of 2003. I’ve never seen anything like that. It was quite impressive and a lesson in perseverance for sure. How much of the 2003 material since finds its way into a Voivod set now? Once in a while, we play material from the Jason or [former bassist/vocalist] Eric Forrest era. Right now, we’re skipping a few albums because we’ve started doing material from Post Society and The Wake. We still try to do a recap of our career; eventually, either “Forlorn’ [from 1997’s Phobos] or “Global Warning’ [from 2009’s Infini] is going to go back into the setlist. But for now, we’re playing stuff from the first seven albums – until The Outer Limits – and Post Society and The Wake. The last time we spoke, we talked a little bit about your Cities album, and you were also doing Tau Cross at that time. What does your creative agenda look like at the moment in terms of extracurricular activities away from the band? We play quite a few shows with Voivod. Right now, I have Tau Cross and Voivod as musical projects. I’m also part of a legendary Quebec band called Aut’Chose. It’s based around a couple of legendary beatniks from Montreal. I play a show with them once in a while. 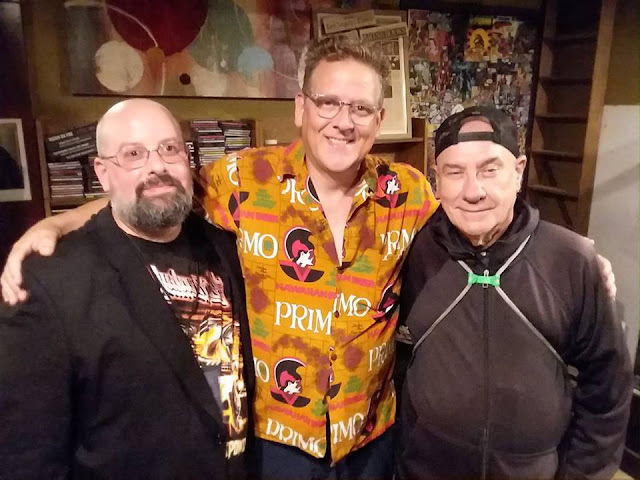 Both Rocky and Chewy are involved in various projects with members of Offenbach, a legendary Quebec band. Rocky is also involved with members of the band Corbeau, another legendary Quebec band from the ’70s and early ’80s. Now, it’s a bit restrictive in terms of side projects because Voivod is so busy. I still do art for other bands, but I’m a bit less available nowadays. I’m also very involved with Tau Cross. We just finished doing the third album for Relapse, and we’re going to record it in December. Excellent! That’s a cool project. I love it. It really has all the aspects I love from playing drums, like Thrash Metal, Punk and a bit of Gothic material as well. There’s a lot of tribal beats, very Killing Joke-influenced. I really like being in that band. Voivod has been active nearly 36 years at this point, which is a great achievement for any band. You’ve been there since Day One and have been the only consistent member throughout the band’s entire history. In your mind, what has been the band’s greatest accomplishment so far? What would you say the band has yet to achieve? We don’t try to overthink it too much. We try to explore and do something different every time we put something out. There’s a lot of exploration to do, especially with Rocky and Chewy, who are more Fusion-oriented. It’s very interesting because every lineup makes me play a bit differently, so it’s always exciting. Now that we’re back into full Prog mode, there are really endless options for us. * Portions of the above interview were edited for clarity. In 1993, Voivod – always a band committed to stretching Metal music beyond what most ever thought possible – delivered “Jack Luminous,” a 17-minute opus that represented the culmination of every adventurous left turn they made in their career to that point. The track was the sound of four otherworldly musicians at the absolute peak of their creative powers. Now, 25 years later, the high-water mark of Voivod’s existence has been surpassed. Snake’s richest and most expressive vocal performance in years. A new level of drumming inventiveness and precision from Away, who has elevated his playing to heights previously unheard on a Voivod release (which is saying a lot). Time signatures from another galaxy. Some of the most awe-inspiring guitar sounds and rhythmic interplay in the Voivod canon (which is really saying a lot). Moments that make most of what they released from 1988 to 1993 – the sweet spot of the Voivod discography – sound like mere sketches for what the band have now achieved with this album. If your current knowledge of The Wake is limited to the teaser track (and album opener) “Obsolete Beings,” then know that it’s the most conventional piece of music on the album. The Wake is an esoteric ride even by Voivod standards. You owe it to yourself to listen to it all the way through several times without interruption. Bands typically don’t create their definitive masterpiece more than 30 years into their career (if they even last that long), but Voivod have never been a typical anything. After outclassing the vast majority of their Metal contemporaries for more than three decades, they’ve actually outclassed themselves here. 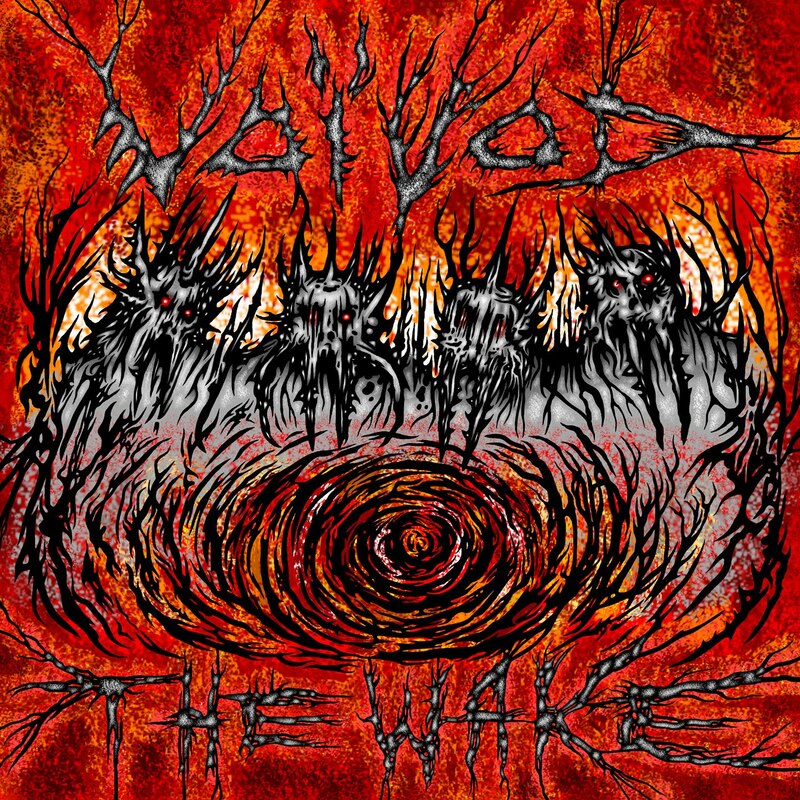 The Wake is the absolute pinnacle of the Voivod phenomenon. That was how legendary drummer Bill Ward described his evening spent in front of a packed house of fans and friends at his first-ever public poetry reading last Saturday. 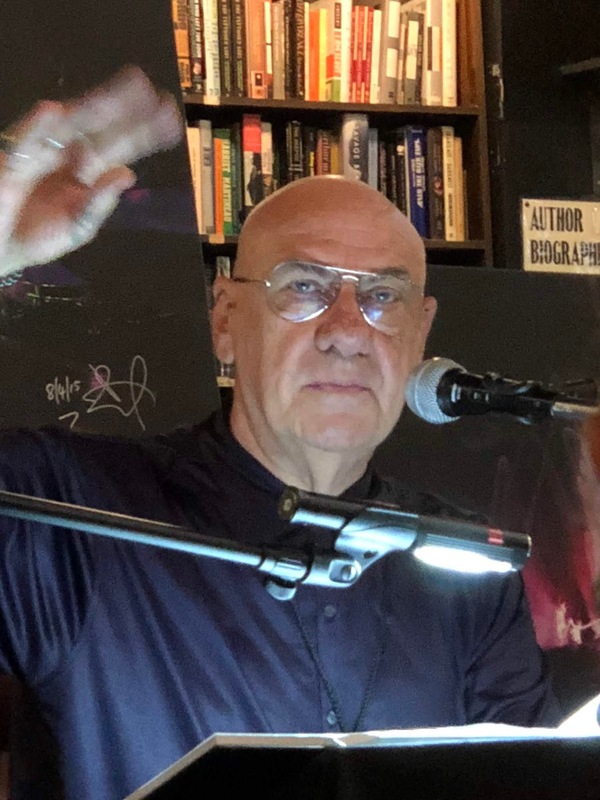 Held at The Last Bookstore in Downtown Los Angeles, the special event celebrated Absence Of Corners, the new art/poetry book-and-vinyl set based on Ward’s 2013 art series of the same name. Released in June and limited to only 200 copies (with the final 50 copies made available at the reading), the beautifully crafted first edition of Absence of Corners features 19 pieces from Ward’s art series, personal poetry inspired by the images and descriptions of each work. The book also comes with a colored 10-inch vinyl recording of Ward reciting his poetry. All 200 copies were signed by the man himself. In addition to reading seven poems from the book (“Indestructible Youth,” “Hello, I Don’t Think We’ve Met [Yet],” “High on a Memory,” “Solidarity,” “Perfection as a Distortion,” “We Focus, We Persevere” and “This Evening”), Ward shared some of the emotions he faced and ultimately overcame while creating the series in 2012. As Black Sabbath fans know, that was the year he parted company with the band over contractual issues. Fortunately, Ward was quick to assure attendees that the pain of his recent past was behind him. During the Q&A portion of the evening, an audience member asked Ward what advice he’d give someone who was going through a rough time. Now 70 and recovering from recent heart issues, Ward used the reading as an opportunity to thank his fans and supporters for the love they’ve shown to him and Black Sabbath over the years. On a personal note, it was an absolute joy to catch up with Bill in person after the reading for the first time in four years. He remains my favorite drummer, an insightful and engaging interviewee and an ongoing source of inspiration and encouragement. My thanks to Bill’s amazing team – as well as to Cory, Ravi and the rest of SceneFour, who are among the most creative and music-loving people I know – for their hospitality and work in making the Absence of Corners event such an extraordinary experience for all.